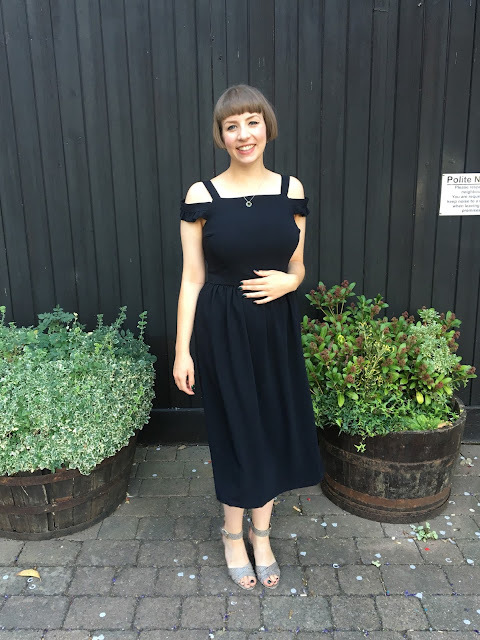 Despite mainly sewing my clothes, I still visit the high street regularly and keep up with what's in store, and I can't help but notice that cold shoulder tops and dresses are everywhere. A lot of these garments are quite loose fitting, which is not a style I can get away with too easily, but I sort of wanted in on the trend too. So I decided to make my own version, using the tried and tested By Hand London Flora bodice. 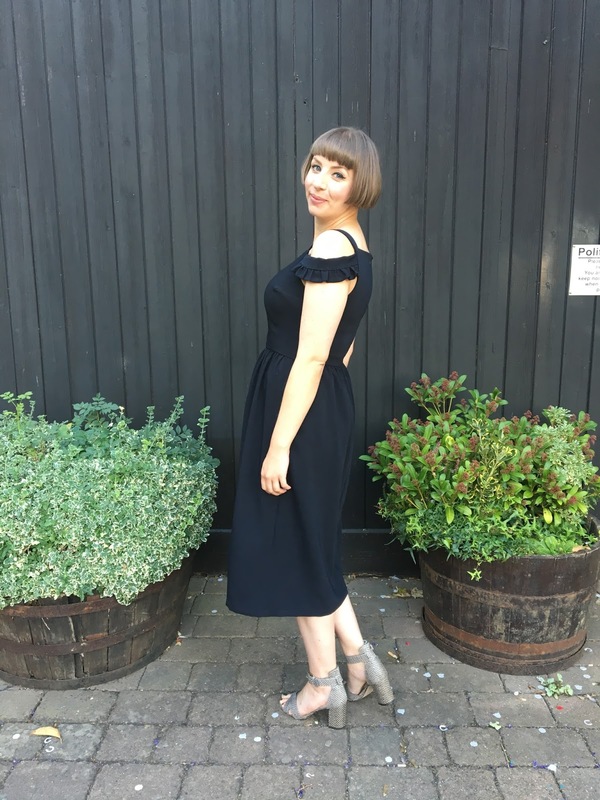 I'd already tackled the fit adjustments for the the Flora bodice for a culotte/jumpsuit hack, so that made it an obvious choice for experimenting with shoulder inserts. I hung onto my muslin - it's a pretty rare occasion that I'd even make one, so this was lucky - and made use of some scraps to do a bit of testing. I ended up with what's essentially a gathered arm band insert that I was pretty happy with - I'm thinking of putting this together in a more detailed fashion in the near future as a bit of a how-to if anyone's interested! The fit of my Flora remained almost the same, but I took an extra inch off the front neckline to open it up a little. I also shaved 0.5cm off the centre back, to get a slightly closer fit. I used a mid-weight crepe from the grab bins at Abakhan, which could have only cost me about £5, if not less! The fabric may look plain, but it has such an expensive feel and drape to it - the sort that you might find in Whistles or Cos. 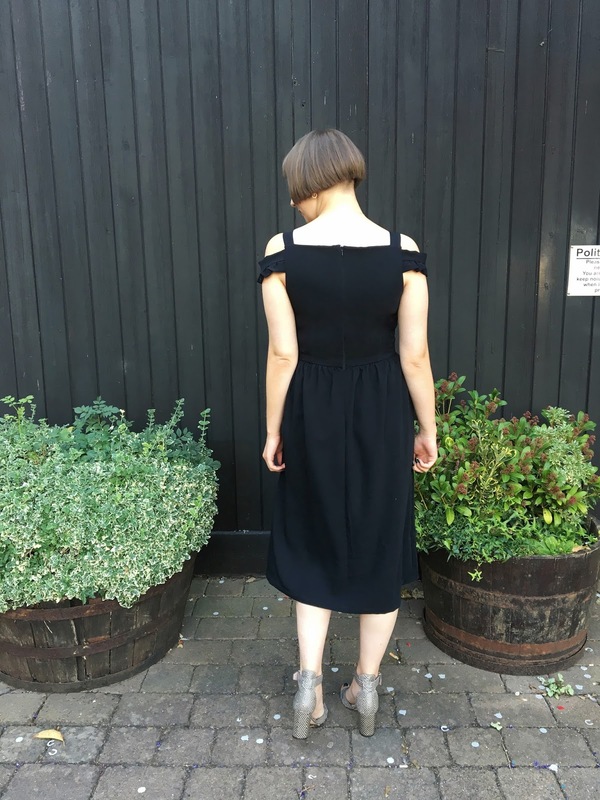 The only thing I would do differently if I made something similar would to be line up the neckline with the shoulder inserts a little better, and lower the back neckline 1" to match the front. I'm just slightly out with these, which makes the neckline look a little disjointed rather than creating a clean line across, but oh well, practice makes perfect! I made the bodice without too much consideration of what the skirt would look like. I think I'd sort of envisaged a straight, just-below-the-knee-length darted style, but to be perfectly honest, I got lazy, and couldn't be bothered to draft, adjust, or find a pattern to match. 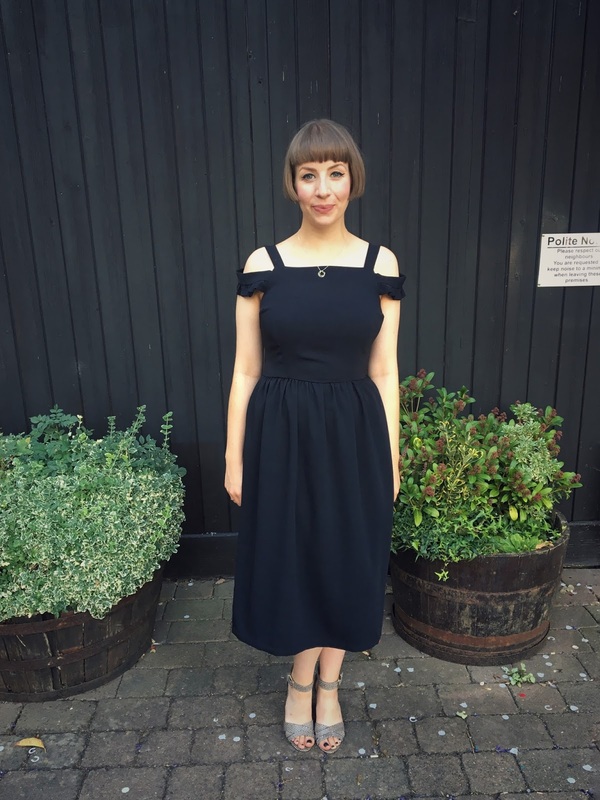 My gathered skirt wasn't on a complete whim though - I tried the bodice on with an old self drafted gathered skirt to get an idea of the shape, and it just sort of worked. I used all the fabric I had left so I could make it as long as possible, and I think the gathers hang really nicely in the fabric. There's no visible stitching on the outside of the dress so I decided to go all out and finish the hem by hand too. 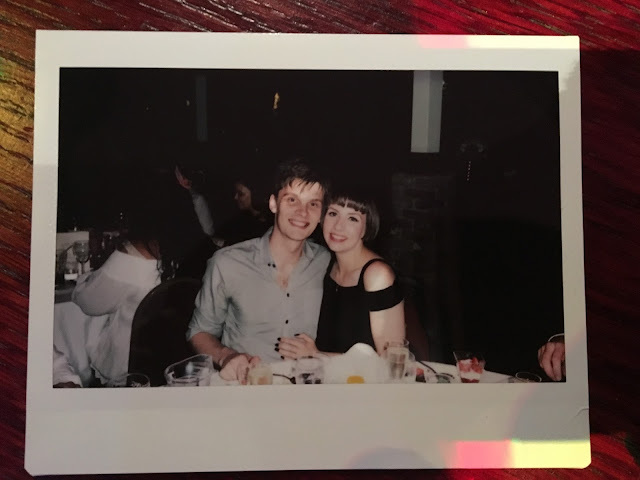 I'm really pleased with the results, and massively proud that I managed to translate what I saw in the shops, into something that's much more wearable for me. It's actually turned out quite a lot posher than I imagined, and I'm wearing it at a wedding in these pictures - who says you can't wear black to a wedding eh? I think I'd like to try it again in a print fabric, or maybe as just a top version eventually, but I do have quite a lot on my list at the moment - imminent Autumn sewing is calling! - so we'll see! As a side note, and speaking of the Flora bodice, my culotte/Flora hybrid made it in print! 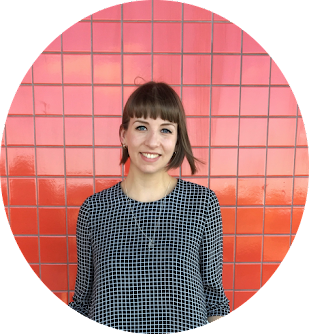 Thanks Megan of Pigeon Wishes for recommending my project as her favourite pattern hack. 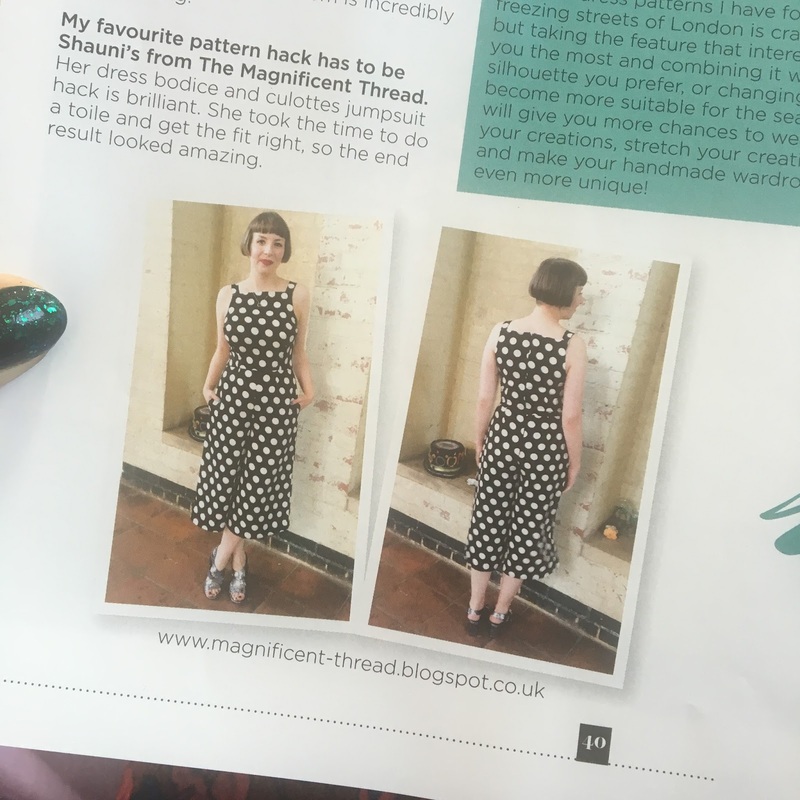 Check out Megan's own (amazing) pattern hack and article in the latest Sew Style mag. Can anyone think of or recommend any other Flora hacks for me to try?! I've definitely got the bug now! 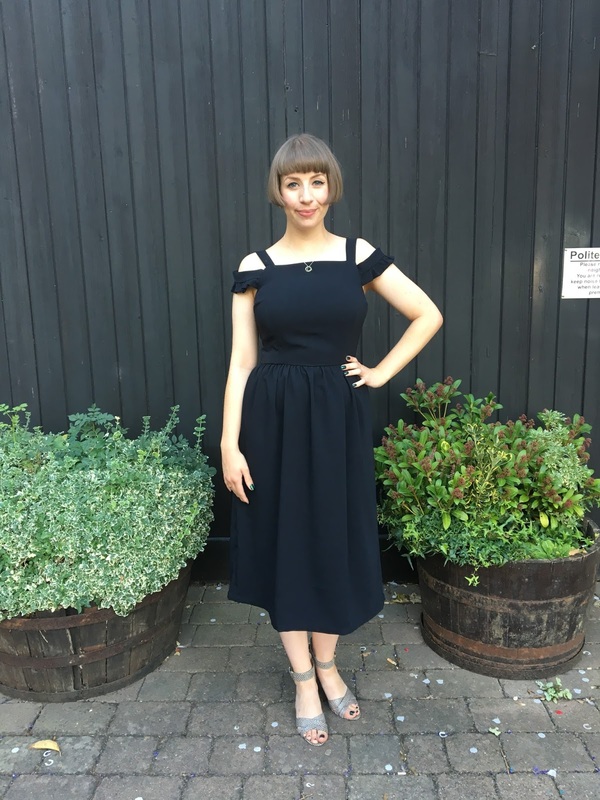 This dress looks amazing on you and I love what you hav done with it, I've also looked at this trend and the free patterns of how to make a ruffle off shoulder number but it's not my style where as this is perfect. I have the Flora pattern and tried several times to muslin the wrap bodice failing each time so the pattern was put in the naughty corner :) I'm going to dig it out again, a how to tutorial would be fab. I love what you did, another great flora hack! I keep thinking about making a 'little black dress'!